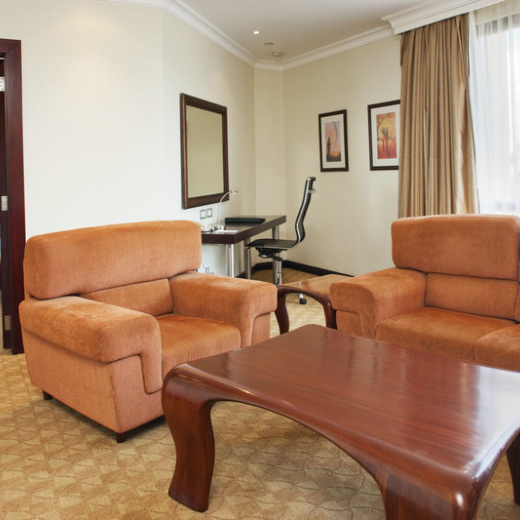 Crowne Plaza Nairobi is a stylish, newly-built hotel, located in the commercially crucial area of Upper Hill Nairobi, off Kilimanjaro Road. The hotel is surrounded by various multinational companies, diplomatic missions, banks, government offices and hospitals. The pillar-less ballroom and six boardrooms with state-of-the-art equipment facilitates effective business meetings or presentations. The hotel staff will collect you from Jomo Kenyatta International Airport, 25 minutes away, and has a secure and complimentary car park. Organise for a day or half-day transport to discover nearby Nairobi National Park, 10 minutes away, or even go further to see the big cats and giraffes at the Masai Mara game reserve. 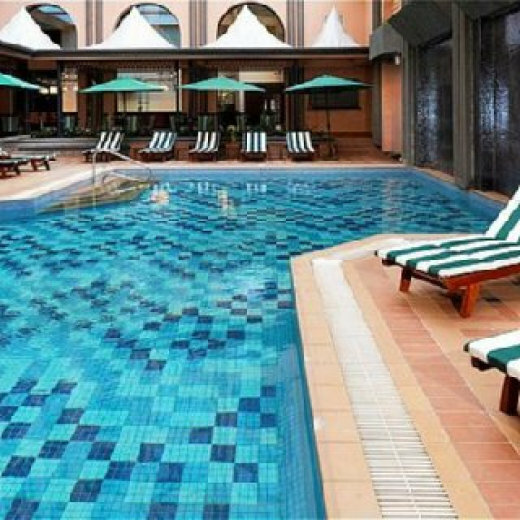 Crowne Plaza Hotel has 162 spacious rooms which include 13 suites and a club floor with an exclusive lounge. All rooms are air conditioned and have high speed wireless internet connectivity. Baraza is an all-day restaurant situated on a terrace overlooking the hotel's main pool and serving full English buffet breakfasts, contemporary buffet lunch and dinner, as well as an extensive ala carte menu (separately priced items). Dishes vary from mouth-watering pizzas to tasty grills. Located on the first floor of the hotel, Sikia Restaurant is a fine dining restaurant perfect for business lunches and special dinners with friends and family. The modern menu is outstanding and the dining room itself is comfortably elegant. The hushed sophistication and impressive decor make it just right for an evening out. Meet with colleagues over espresso made from dark Kenyan coffee beans in Alabaster Lounge, where there's a piano accompaniment in the evenings. Dishes like Maasai ostrich carpaccios and iced mascarpone cheesecake are served in at Sikia.